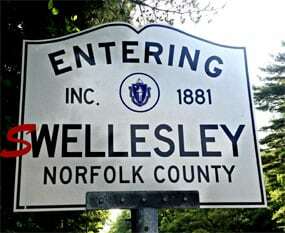 The Wellesley Historical Society is holding its annual fundraiser “Swing Into Spring” cocktail party on Thursday, May 9, 2019 from 6:30 to 9:30 PM on the Sunset Terrace, Wellesley Country Club, 300 Wellesley Avenue. Ticket prices are $ 125 per person (cocktail attire) and include heavy hors d’oeuvres. This year the Society in honoring the Anderson family of Anderson’s Jewelers in Wellesley. This fourth generation family in the jewelry business is well noted for their quality and professional service, in addition to their generous outreach to the community. For more information and tickets, please visit www.wellesleyhistoricalsociety.org or contact Executive Director Amanda Fisher at 781-235-6690 or [email protected]wellesleyhistoricalsociety.org.